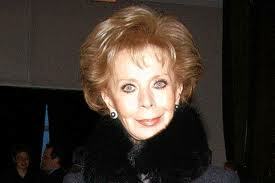 On Monday Brazilian philanthropist Lily Safra sold a collection of her jewels to benefit 32 charities around the world. She is the widow of billionaire banker Edmond Safra who died several years ago in a fire in Monaco. Christie’s hosted the sale in Geneva and the response was overwhelming with a staggering $37.9 million dollars raised (double the pre-sale estimate). 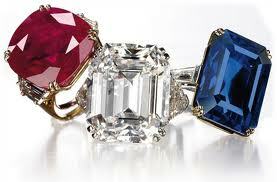 The highlight was yet another world record price – this time the highest price ever paid at auction for a ruby. And at a whopping 32.08 carats, this is quite a ruby! Not bad for 6.7 million dollars! Personally, I like her 34.05 carat D VVS1 Type IIA emerald cut diamond…..not a bad price for the buyer, actually, at 5.12 million considering that Elizabeth Taylor’s 33 carat Krupp sold for 8.8 million just months ago. The sale benefits the following charities. THANK YOU MRS. SAFRA!